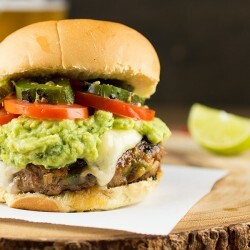 A Mexican spin on an American classic burger recipe. 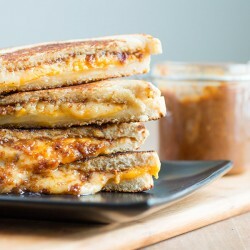 Step up your typical boring grilled cheese sandwich with bacon jam and you will never want grilled cheese again without it. 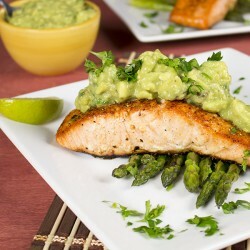 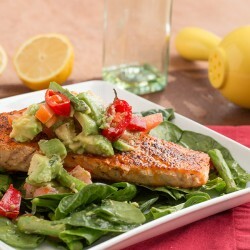 Today we’re preparing a healthy recipe of seared salmon over a flavorful salad made with spinach, asparagus, chili peppers, avocado and tomato. 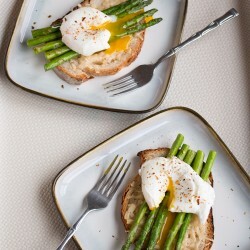 A breakfast or brunch recipe of eggs served over grilled asparagus and Italian bread lightly toasted with Parmesan cheese. 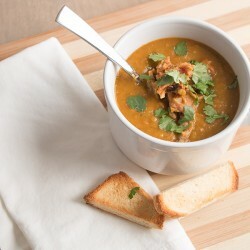 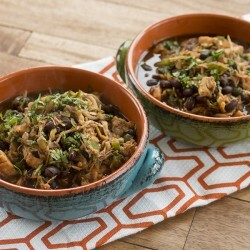 Warm up those bones with a spicy Southwest style split pea soup recipe that can be made on the stove or in a pressure cooker. 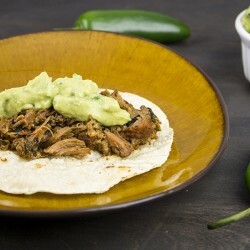 Tender pork seared then slow cooked with roasted poblano peppers, served with corn tortillas and extra creamy guacamole. 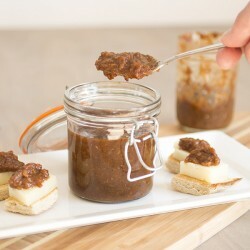 Want some tart with your sweet? 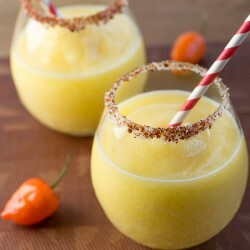 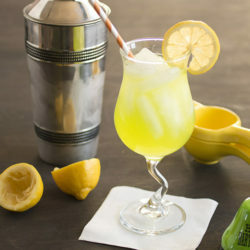 Here is a sweet-tart cocktail recipe made with melon liquor, pear vodka, lemon and citrus soda. 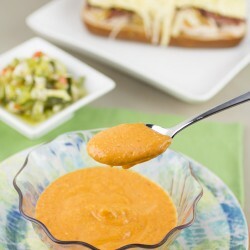 Looking for a healthier version of the classic Reuben sandwich? 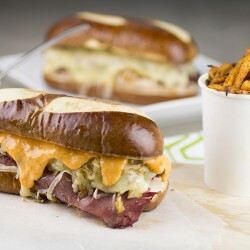 How about a Turkey-Pastrami Reuben with homemade Thousand Island dressing? 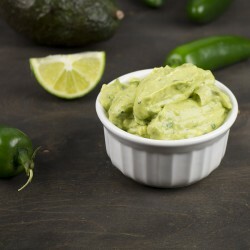 A super creamy guacamole recipe made with roasted jalapeno peppers, avocado, crema and more, perfect anytime, anywhere! 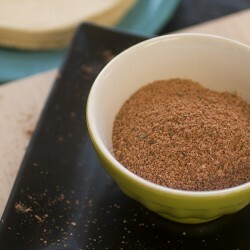 Make your own taco seasoning at home. 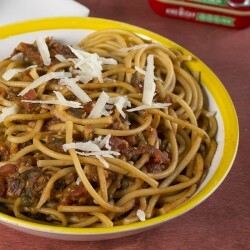 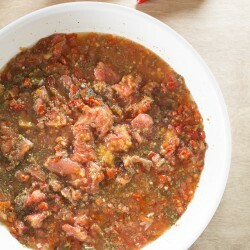 A rustic sauce made from fresh tomatoes and chili peppers, perfect for preserving your garden harvest. 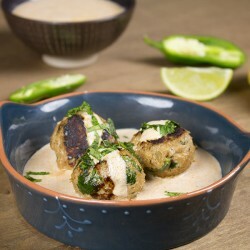 Spicy turkey meatballs served in a chipotle yogurt sauce. 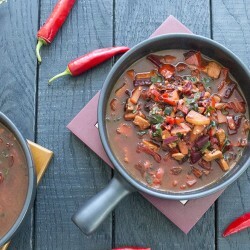 A spicy red vegetarian stew made with beets, potatoes, chili peppers and more. 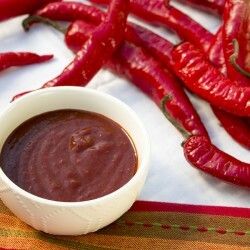 Change up your typical barbecue sauce recipe with this, a sweet and spicy BBQ sauce made with fresh strawberries and long red cayenne peppers. 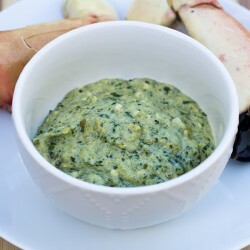 A quick and easy sauce/dip made with only four ingredients: roasted jalapeno peppers, crema, garlic and salt. 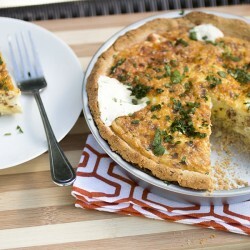 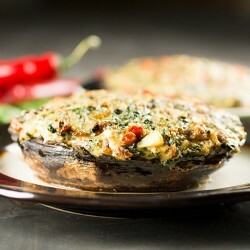 A cheesy quiche made with bacon, goat cheese, pepperjack and cream cheese. 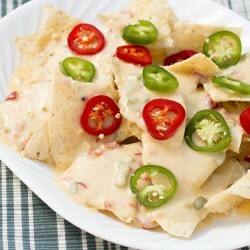 A homemade beer-cheese sauce spiced with jalapeno peppers that can serve as a dip or a topping for nachos. 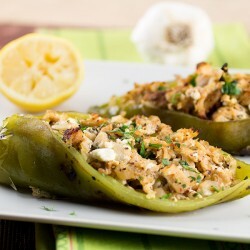 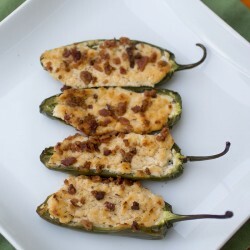 Jalapeno peppers stuffed with a mixture of goat cheese and ricotta, topped with crumbled bacon. 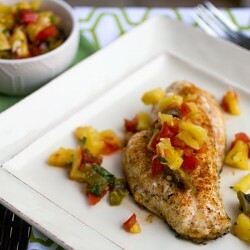 A recipe for hog snapper that has been lightly seasoned and seared, then served with a spicy salsa made with fresh habanero peppers, grilled jalapeno.